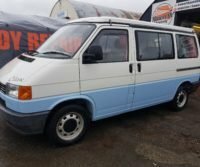 Nice little #VWT4 camper van we refinished. 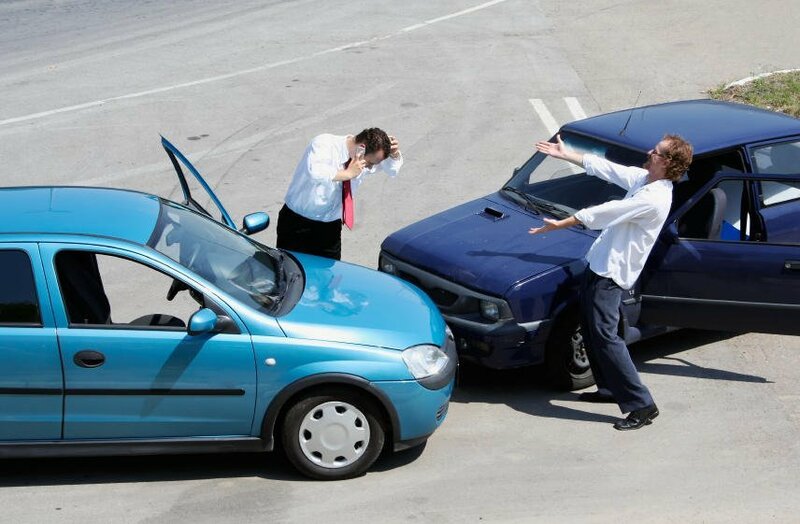 After an accident, should you call your insurer or the vehicle manufacturer first? 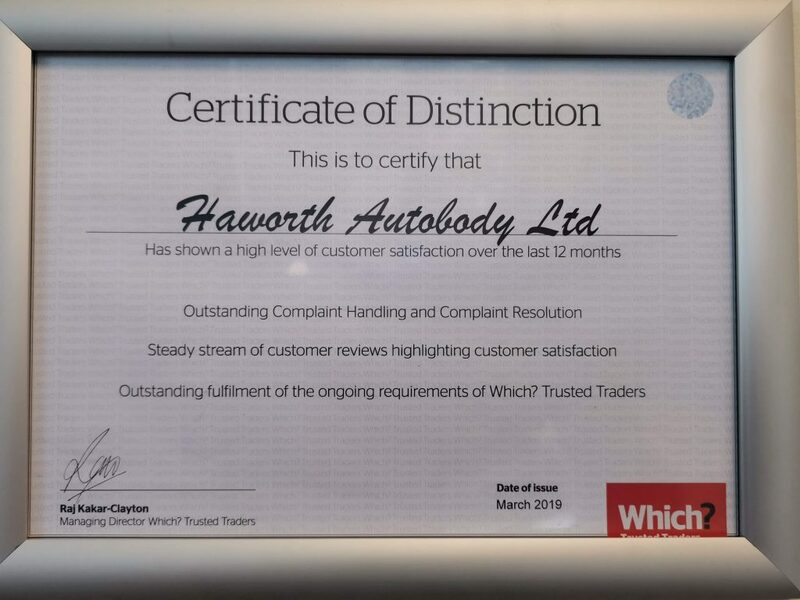 Credit Check – This was to validate the financial stability of Haworth Autobody Ltd and included a credit check to ensure our business wasn’t facing any financial issues. References – This part of the assessment involved random customer reference checks from the Which? Team to ensure the level of service we provided made the grade. 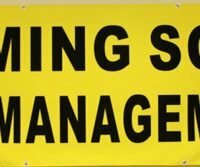 Business Procedures – This included an examination of our business and administrative procedures. Interview and Assessment – At this stage, we were visited by an assessor from the Which? trusted traders team for an interview. Code of Conduct – We then became an endorsed trader by agreeing to abide by the code of conduct set out by Which?. “We look forward to starting the New Year off as Which? Trusted Traders, and assure our customers that the high-level of service we have always provided will remain just as high”. Workmanship – Which? 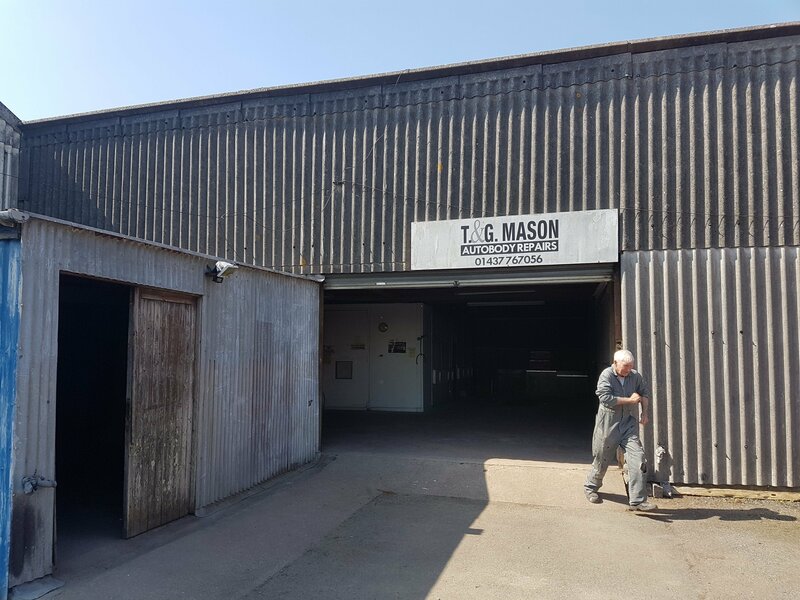 trusted traders are only able to undertake work that they are competent to do, assuring customers that the person carrying out their bodywork or mechanical work is capable of doing so to a high standard. Transparency – This has always been at the forefront of our business philosophy, and as we always have done, Which? trusted tradesman are required to provide a clear breakdown of costs before work is undertaken. 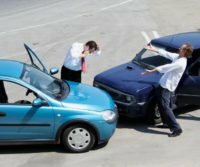 Dispute Resolution – Should you be unhappy with the service provided from a trusted trader, customers of Which? trusted traders have access to the use of the schemes independent resolution service. If you’d like to read our current Which? reviews or leave one about a piece of work we recently carried out for you, please visit our personal Which? trusted trader profile.